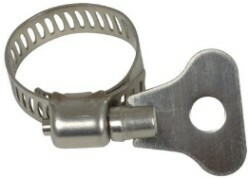 Hydro Flow single grip hose clamps provide a superior seal on hose or tubing. 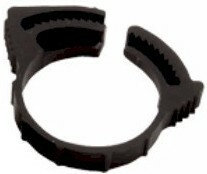 As interlocking teeth are pushed together, the sealing diameter closes evenly creating a uniform clamping surface. 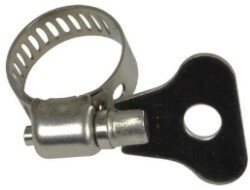 These clamps can be removed by separating the clamping halves in a perpendicular direction at the seal. The black, nylon clamps won't corrode or rust, and installation and removal requires no tools.